I recently got back into Lord of the Rings Online and it's been a blast. Not only has Standing Stone Games (who took over for the original developer Turbine) been updating the game with quality of life enhancements, it's also finished off the main story as it pertains to Lord of the Rings, bringing players into the dark realm of Mordor. But Middle-earth is a huge place full of wonder and mystery, so naturally the tale shouldn't end there. I sat down with Ben "DrOctothorpe" Schneider, Lead Designer on Lord of the Rings Online, to catch up and see where the massive decade-long project is headed. Destructoid: So what's next for LOTRO after Mordor is done? Is there room for some appendices-esque tales of Elessar, the Scouring of the Shire, and the like? Schneider: The short answer is that there is SO much left. LOTRO has a long history of creating adventures in Middle-earth beyond the trajectory of Lord of the Rings. (Shadows of Angmar is a classic and much-loved example.) We will continue to fill and illuminate the map with those far-flung adventures, and the great news is that there is plenty of map. Following up, people tend to skip ahead to the Scouring the Shire after the fall of Sauron. But there’s a lot more to explore—from Arwen and Aragorn having a wedding to the reign of Aragorn, new king of Gondor. Do you have any dream scenarios in mind, even if they aren't necessarily planned? Too many, perhaps. At the core, to "finish" building a complete Middle-earth. Tolkien's world is enormous, and even after nearly eleven years, it still sometimes feels like we've barely scratched the surface. There are so many places left to adventures and so many more stories to be told, and everyone on the team is excited to see where we go next. Our dreams have wandered as far as the very edges of the map -- Umbar and Harad beyond it, Rhûn, Lithlad -- and who knows, maybe we'll go there someday. Do you have the rights to any Silmarillion material? If not (and most don't) how do you try to work within the confines of what you can and can't reference? Our IP license is with Middle-earth Enterprises, which grants us access to material from The Lord of the Rings and The Hobbit. Just about all the other texts are held by the Tolkien Estate. We have a resident Loremaster, who delves deep into the texts, and coordinates with a couple Tolkien professors, to help us manage those sometimes treacherous borders and to stay true to lore. He also regularly looks into linguistics, medieval literature and history. In order to keep to the deeper spirit of the lore, we believe it’s necessary to draw from the same sources as Tolkien himself did. What's one of the toughest challenges you've faced when adapting the source material? Making sure our world appeals to the Tolkien enthusiast is a challenge we embrace, but it does mean a lot of careful attention to detail, research into lore, discussions with Tolkien scholars, and frequent checks to make sure things look, feel, and act right while making new content. Many things in Middle-earth were written about in great detail, but sometimes people, places, or things are open to interpretation. When this happens, we want our interpretation to feel authentic. Additionally, some of the massive battles and set-pieces are a challenge from a design and gameplay perspective, but again, it's one of the reasons we like making this game. Much of the Update 22 content takes place in Rhovanion. What was your favorite aspect of designing this fairly iconic area? It was a joy to interpret how the places we became so familiar with and fond of in the Hobbit had changed over the past roughly 80 years. We were able to expand on the aftermath of Lake-town's destruction by Smaug, to learn what became of Dale and Erebor after the final days of the War of the Ring, and to finally look beyond the darkness of Mirkwood and see it transformed into Eryn Lasgalen. Having spent a great deal of time in the lands of Men, such as Rohan and Gondor, over the past few years, it's been wonderful to experience the diversity in culture and architecture between the kingdoms of Elves, Men, and dwarves in the North. 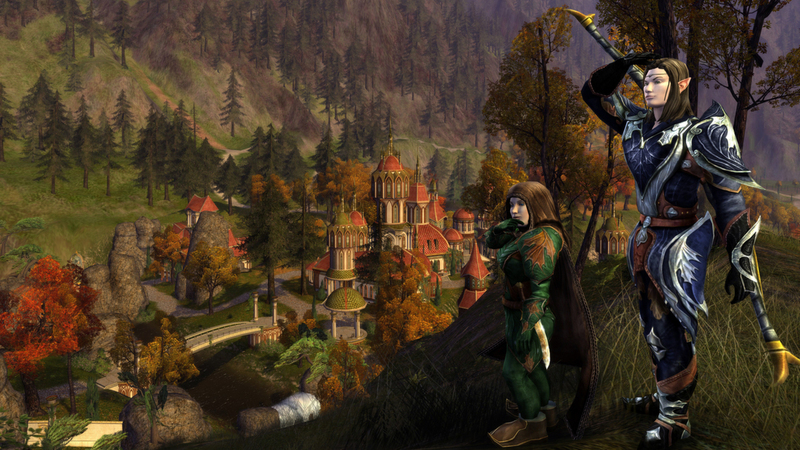 Do you consider LOTRO to be a trendsetter in the realm of free-to-play MMOs? How much has the landscape evolved in the past eight years and where does LOTRO fit in? We and our older sibling, Dungeons & Dragons Online, were some of the first games in the West to take an existing online game and successfully convert it to a Free to Play model. Over time, the number of Free to Play games available has increased significantly, which has allowed the industry to better understand what players want. We like the Free to Play model because we can bring joy to a large number of players while providing a stable environment that allows us to operate and improve the games indefinitely. 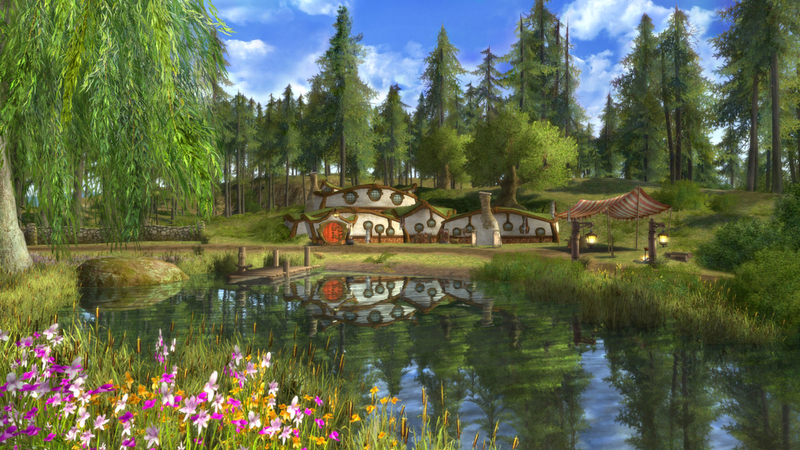 Give us one reason why people who have never tried LOTRO before should jump in. We think Lord of the Rings Online has some of the best story in the business, and being able to set it in Middle-earth brings a richness and depth thanks to the incredible world Tolkien authored.